Irène Joliot-Curie (September 12, 1897 –March 17, 1956) was a French scientist, the daughter of Marie Curie and Pierre Curie. Jointly with her husband, she was awarded the Nobel Prize for Chemistry in 1935 for discovery of artificial radioactivity. Her studies at the Faculty of Science were interrupted by World War I. Initially, Curie was taken to the countryside, but a year later when she turned 18 she was re-united with her mother, Marie-Curie, who was running the twenty mobile field hospitals that she had established. The hospitals were equipped with primitive X-ray equipment made possible by the Curies’ radiochemical research. This technology greatly assisted doctors to locate shrapnel in wounded soldiers, but it was crude and led to both Marie and Irène’s suffering large doses of radiation exposure as nurse radiographers. The years of working so closely with such deadly materials finally caught up with Joliot-Curie and she was diagnosed with leukemia. She had been accidentally exposed to polonium when a sealed capsule of the element exploded on her laboratory bench in 1946. Treatment with antibiotics and a series of operations did relieve her suffering temporarily but her condition continued to deteriorate. Joliot-Curie became actively involved in promoting women’s education, serving on the National Committee of the Union of French Women and the World Peace Council. During World War II Joliot-Curie contracted tuberculosis and was forced to spend several years convalescing in Switzerland. She did make several dangerous visits back to France, enduring detention by German troops at the Swiss border on more than one occasion. 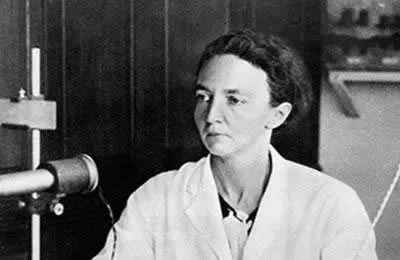 In 1956, after a final convalescent period in the French Alps, Joliot-Curie was admitted to the Curie hospital in Paris, where she died on March 17 at the age of 58 from leukemia. Marie-Jeanne Phlippon Roland, better known simply as Madame Roland (March 17, 1754 –November 8, 1793) was a supporter of the French Revolution. She fell out of favor during the Reign of Terror and died on the guillotine. From her early years she was a successful, enthusiastic, and talented student. In her youth she studied literature, music and drawing. In 1784, she obtained a promotion for her husband which transferred him to Lyon, where she began building her network of friends and associates. In Lyon, the Rolands began to express their political support for the revolution through letters to the journal Patriote Français. Their voice was noticed and in November 1790, Marie-Jeanne was elected to represent Lyon in Paris, negotiating a loan to reduce the debt of Lyon. When the couple moved from Lyon to Paris, she began to take an even more active role. Her salon in Paris became the rendezvous of leaders of the popular movement. These leaders of the Girondist faction met to discuss the rights of citizens and strategies to transform the French from subjects of the Monarchy into citizens of a constitutional republic. Inevitably, her activity placed her in the center of political aspirations where she swayed a company of the most talented men of progress. Madame Roland began her movement toward political involvement slowly, initially acting as her husband’s secretary, and later developing into a far more influential member of revolutionary politics. In maintenance of her feminist beliefs she never spoke during formal meetings. Instead she listened intently at her desk, taking notes, thus educating herself on political matters. On the morning of June 1, 1793, she, along with other Girondists, was arrested for treason and, as a woman who had betrayed her gender, for her political activism. In prison, she was respected by the guards, and was allowed the privilege of writing materials and occasional visits from devoted friends. There, she wrote her memoirs which display a strange alternation between self-praise and love of country, the trivial and the sublime. She was tried on trumped-up charges of harboring royalist sympathies, but it was plain that her death was part of Robespierre’s purge of the Girondist opposition. In prison Roland struggled with her concept of a woman’s place in the nation of France after having been forced to lurk in the shadows to gain her own influence over the nation. She proved women to be valuable active partners to political success. After Madame Roland helped her husband escape Paris, she accepted her fate of death on the guillotine as the only way to clear her name and reputation. She died as a citizen of the Republic, not a subject of the monarchy. On November 8, 1793, she was conveyed to the guillotine. Before placing her head on the block, she bowed before the clay statue of Liberty in the Place de la Révolution, uttering the famous remark for which she is remembered: Oh Liberty, what crimes are committed in thy name!